11:45 am - 10 min. Pacific Herring need our help if we are to save the salmon, killer whales and other marine species in the Salish Sea. 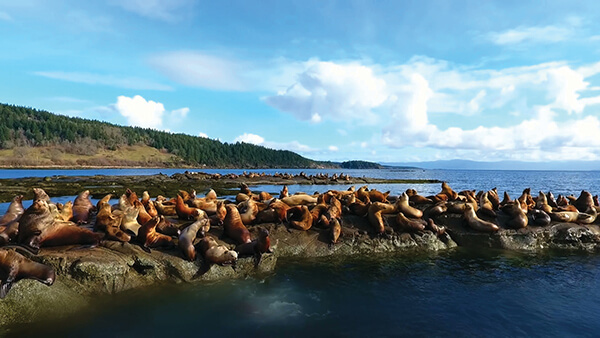 This film explains why we need to stop the commercial herring roe seine fishery around Hornby Island, one of the most important spawning areas on the B.C. coast. 12:00 pm - 14 min. Orcas live in a matriarchal society. 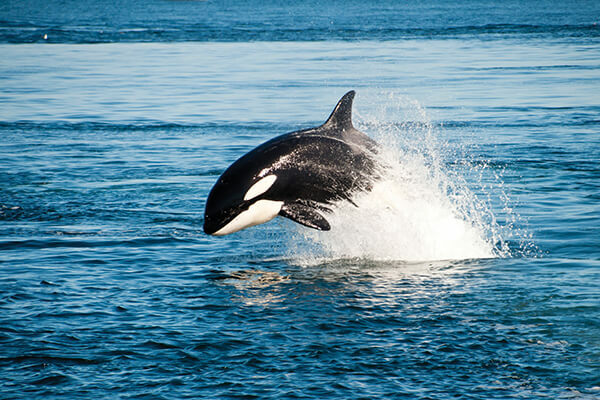 The matriarch of the southern resident orcas, known as “Granny”, lived to be 105 years old. She survived the eras when whales were on everyone’s menu and her family members were harpooned, shot, captured and put on display. What will be the future for her family? 12:15 pm - 14 min. Flying with Ravens is the story of Mick Maxted and the two ravens that he has been feeding on Mt Washington since 2010. Mick and his partner Lynn have a close relationship with these two characters affectionately known as Jekyl and Heidi. 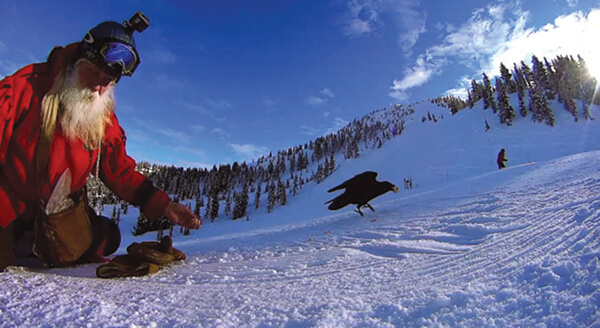 Mick and Lynn’s days on the ski hill are as much about feeding ravens and whiskey jacks as skiing and boarding. These intelligent ravens enjoy flying around Mick as he boards down the hill. Flying with Ravens is a delightful story with the underlying theme of our relationship with nature. Filmmaker will attend.